This week, the Michigan Credit Union League (MCUL) and representatives of Michigan credit unions had a meeting with Gov. 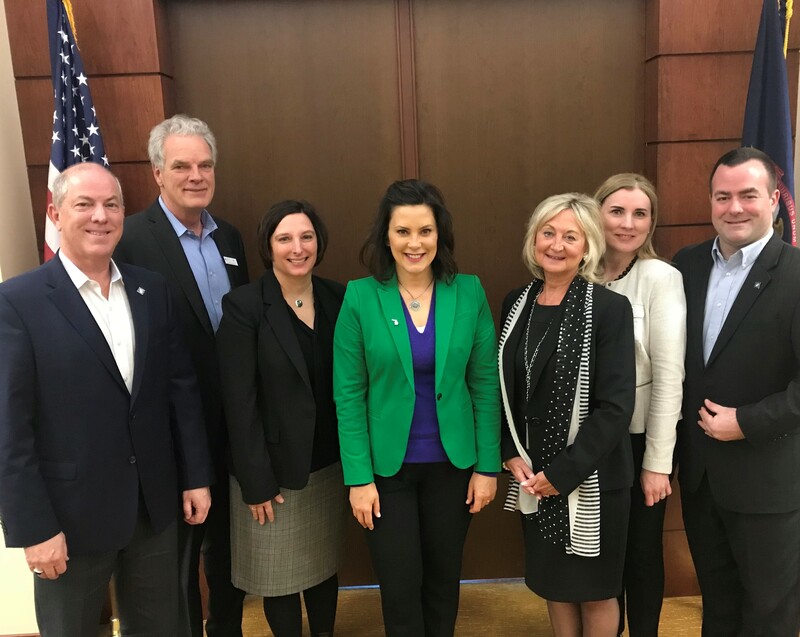 Gretchen Whitmer to discuss the current state of the industry, the credit union mission, how credit unions support Michigan communities through financial literacy programs, business lending and providing access to affordable financial services. Also discussed was data security, cannabis banking and the epidemic of security breaches, which place members' sensitive data at risk. Among those in attendance were MCUL President/CEO Dave Adams, EVP/COO and General Counsel Patty Corkery, SVP of Advocacy Kieran Marion, Community Financial Credit Union President/CEO Bill Lawton, MSU Federal Credit Union President/CEO April Clobes and People Driven Credit Union CEO Renee DeMarco.